Magnetically sensitive sharks don't like samarium, neodymium, and praseodymium, according to a report by BBC on a company that is experimenting with rare earth elements to protect swimmers from getting bit. 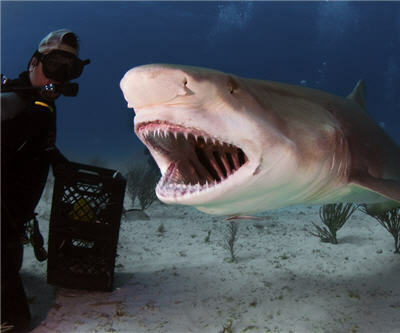 "That night, we put magnets into the water and couldn't believe the nurse sharks were extremely distressed and stayed away from them," he says. Stroud thinks that was the moment he discovered that magnets repel sharks.